The famed Medinah Country Club. This 7700-yard monster has hosted many U.S. Opens. Laid out to the specs of the course this has gotten my best reviews from my friends. They have told me they felt like they were playing a real course. The tees are the champions tees. This is a good test for a U.S. Open or another major event. I hope you enjoy the course because it really came out nice. 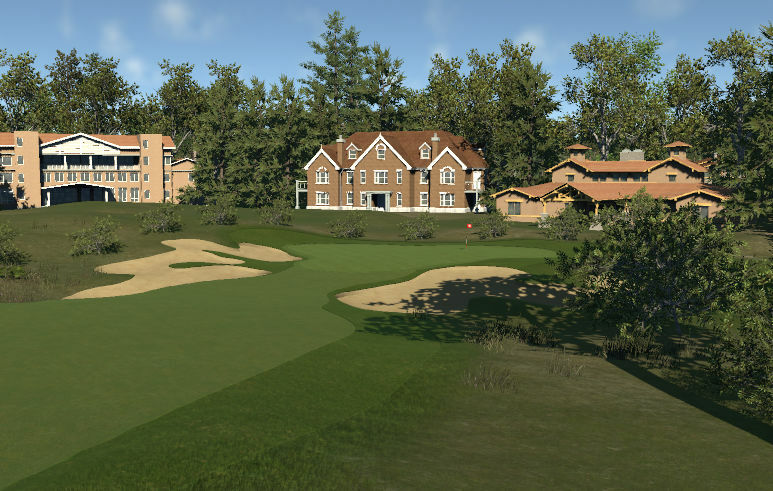 The new boreal theme was the perfect theme for the course with medium greens and fairways. A moderately challenging round of golf. 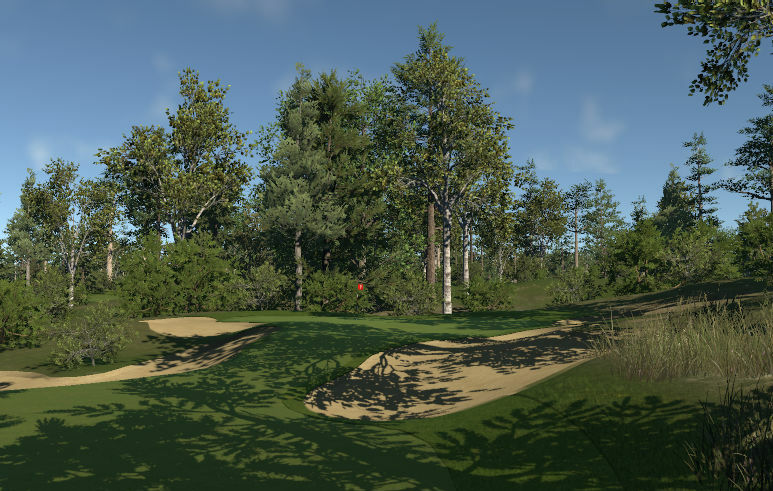 Greens very realistically created and mildly challenging. Narrow fairways and rough make for good but not unreasonable challenge on a relatively flat course. 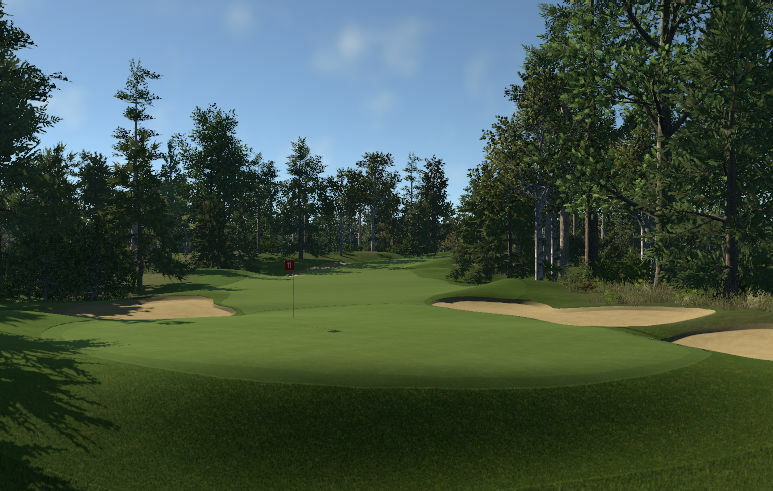 Some fairways lined with trees in an unnatural-looking straight and evenly-spaced line. Some edges at water are flat with rough located on very steep portions, without adequate smoothing, looking unfinished..
A lack of smooth transition between grasses in some places where fairway to deep rough looks unnatural. Bunker areas look awkward with varying length of grasses surrounding them.